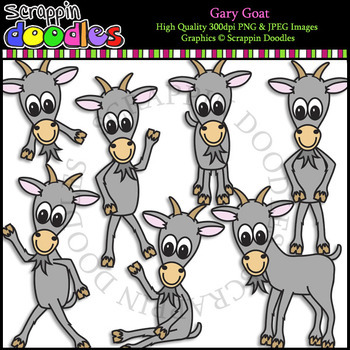 Our Gary Goat collection includes 14 graphics. 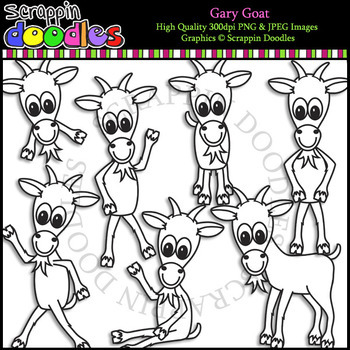 Graphics come in PNG format 300 dpi. My graphics are suitable for printing and digital projects and can be easily re-sized smaller to suit other needs, graphics measure up to approx 6".